Raise your hand if your organization has a clearly defined sales strategy that is getting the results you want. I’ll wait. If you didn’t raise your hand, you’re not alone. Your sales strategy is more than just “increase volume & revenue from last quarter”, and is not a place to follow trends or force fit approaches. Your sales strategy is just as unique as your company. It starts with a clear company strategy and must support your organization's ability to achieve its vision. Your sales strategy should clarify where you are now, where you want to be in the future, and how you’ll get there, with clear goals that depict what success looks like. Your sales strategy should clarify where you are now, where you want to be in the future, and how you’ll get there. 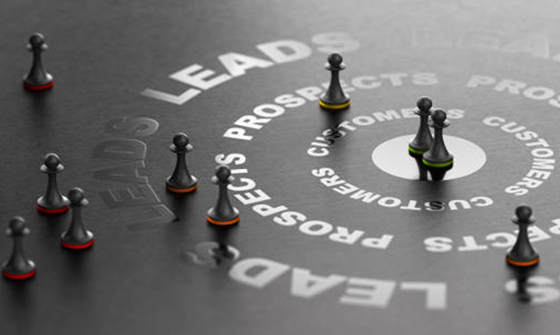 How does your sales function need to be set up to facilitate your strategy? Here, you address important concepts such as what kind of structure you need in place, how you segment your customers, approach the market and the sales culture you need for success. Some sales leaders start here, assuming that structure or segmentation will solve their issues. Without first defining a clear strategy, it’s impossible to tell which approach is the right one. All your systems and processes need to support (or, at minimum, not inhibit) your strategy. These include things like a sales process, CRM, incentive systems and performance management. One must-have is a simple and consistent way to track results. You need to know without a doubt whether or not you are “winning”, or achieving your strategy, at any time. Believe it or not, that’s the simple part. The true magic comes in when those metrics cascaded to every part of your organization. Each salesperson should know not only if they are achieving their goals, but how their goals contribute to the success of their team, department, and the organization at large. With your foundations built, now it’s time to ensure your people are set up for success. This starts with getting the right people in the right roles and may mean assessing your current structure and accountabilities, adjusting roles or designing new ones. Then you can focus on developing talent, from building coaching capabilities and leadership skills in your sales managers, foundational to advanced skills in your sales force, and ongoing development to ensure your team remains cutting edge. Building a sales function for lasting success will take dedication, time and resources from your team. Don’t expect change overnight but do set goals that you monitor diligently. Don’t be afraid to make changes. As you track progress, adjust your approach accordingly. Don’t underestimate the change. A great transformation is more than communicating a strategy and more than a series of projects. Align your efforts and make sure you have a great change management strategy to maximize results and minimize disruption. Don’t forget to bring people along. We are talking about sales success, but that doesn’t mean you only need to involve those in the sales function. The senior leadership team, and all those connected to sales should be aligned to ensure you have buy-in for the kind of transformation you need and all the right perspectives covered. Don’t forget to consider your unique needs. Your sales function can’t look like anyone else's. Your organizational strategy, structure, culture and nuances are unique, so while a certain approach might mean success at another company, it's unlikely to fit you perfectly as well. Great sales leaders don’t just ensure they have these components, but constantly reassess and adjust as the market and their organization changes. Have you been a part of a great or a struggling sales function? What were key issues that created that situation? Is there anything missing on our list? Comments on "Developing Your Sales Function for Lasting Success"